New! Due to popular request our craft books are now available on this site! 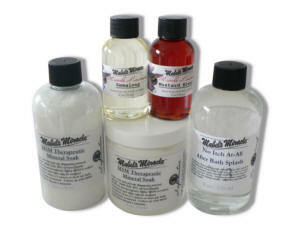 Subscribe FREE and get our e-BOOK with Bath and Body Type Formulas! See our new hinge top pots! New! Melt and Pour Lotion and Crème Bases! Subscribe FREE and get our e-BOOK with Bath and Body Works Type Formulas that includes all of our best recipes! All of our products are Made in America when possible. We are the pioneers of using SoyWax™ along with beeswax to make our balm recipes! Shipping is now same day turn around if ordered before 1:00 PM EST M-F! Our MSM SOAK and Pain management line is here! Click here for our new Flavor Oils and former line on sale!